The former recycling plant in Devonshire has been torn down as work continues to turn it into a playground. 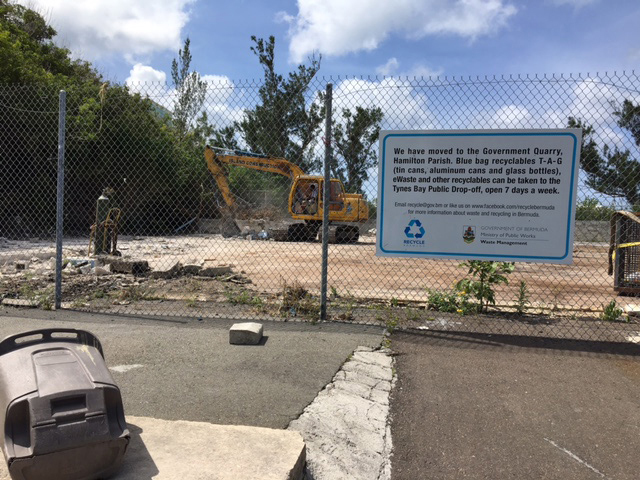 Last November’s Throne Speech promised that the Ministry of Public Works would demolish the old Devonshire Recycling Facility on Devon Spring Road and transform the site into a community playground. There was a three-person crew there this morning [June 22] helping clear the property of debris. Would be nice to put a coat of paint on de incinerator. Good gesture, a little too late to sway votes. Yeah the economy is picking up. More money to do things with. This person is happy to see this eyesore torn down and turned into something for the community. 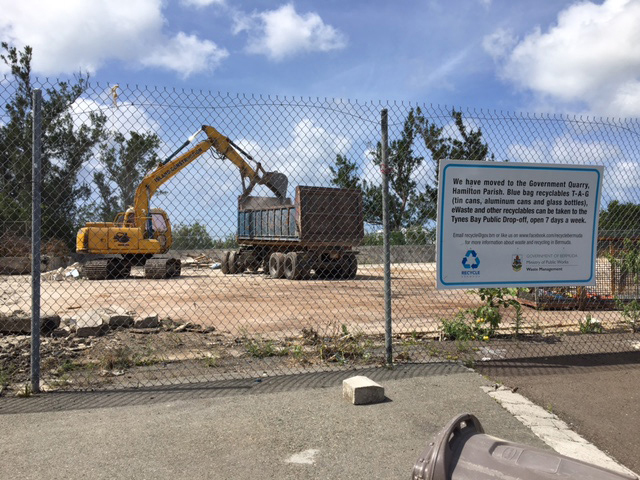 #Bermuda should be littered with playgrounds, gardens and parking lots instead of eyesores. Good thing it’s not an OBA company doing the work or everyone would cry foul. 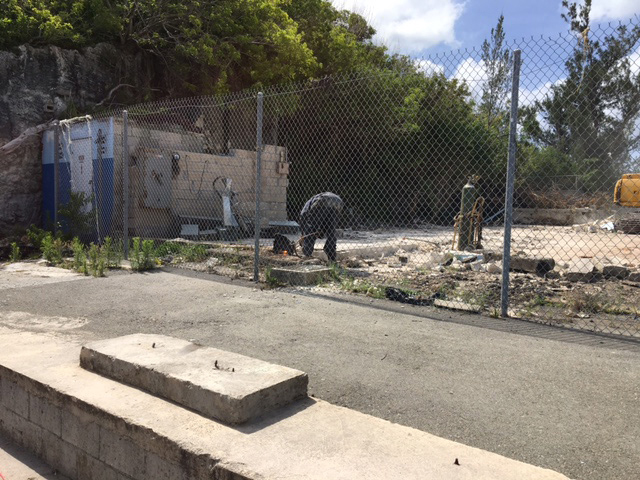 electioneering….just like the crumbling wall that stood for a decade…the former being fixed to keep the people sweet and this playground to try to get a few votes. Yep , just like all the heavy duty road re-surfacing that suddenly began everywhere a few weeks before the last election . Remember how the lighthouse suddenly got painted December 2012? Help me understand this..no money to maintain public school playground equipment.. But got money to build a new playground. And install a playground, gifted​ from AC..meaning us.but nonetheless..just feets away. But if you all think that the PLP is going to be able to fix all the issues you are all complaining about under this Govt you better get your heads out of your asses now and wake up to reality. Moan, moan, moan. There are some who can never be pleased. These are just a couple of simple playgrounds. Nothing like a Beyonnce concert or something equally superficial. Just thing how many scholarships could have been funded instead of spending $3m on the Beyoncé vanity weekend? Certain memories are short and very selective. Who has more ‘followers’, Beyonce or AC? How many followers came for Beyonce tho….I’ll wait! Sooo the kids got to smell the stinch coming from that plant now. Just like the OBA to put a playground for our children next to MAWI’S sewage treatment plant . That site is contaminated ! Er’body gotsta stop whinin’ and start celebratin’. A new playground means new hope. Don’t go bein all territorial ’bout cramp like ” I’m need a playgrond rond hur cuz dis is wurr I’m stay to.” Not cool. Let the kids and they parents enjoy de benefits!! Be glad it ain’t anotha prison!